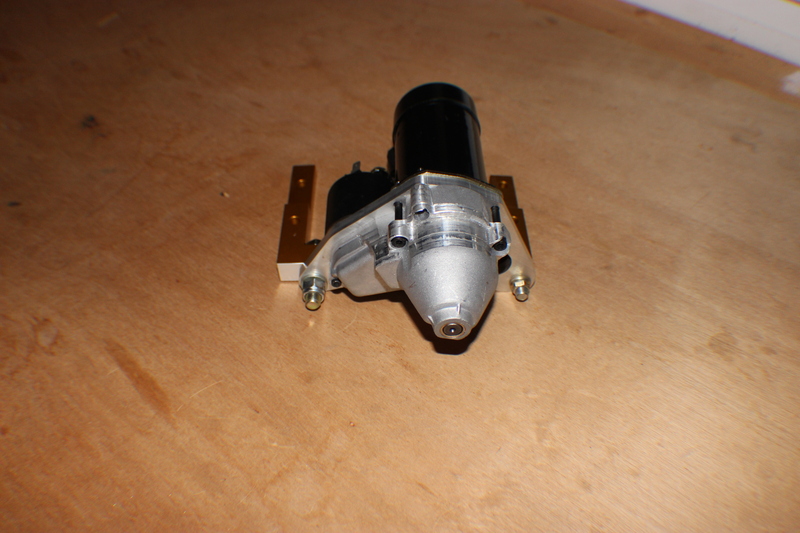 Below are several views of our #2400-L starter. It was an idea I actually had in 2007, but only developed in detail and production this year. The starter actually weighs 3 pounds less than our regular model. Above is the front view. Although the starter brackets are related to our standard #2402 brackets, these are dimensionally different. 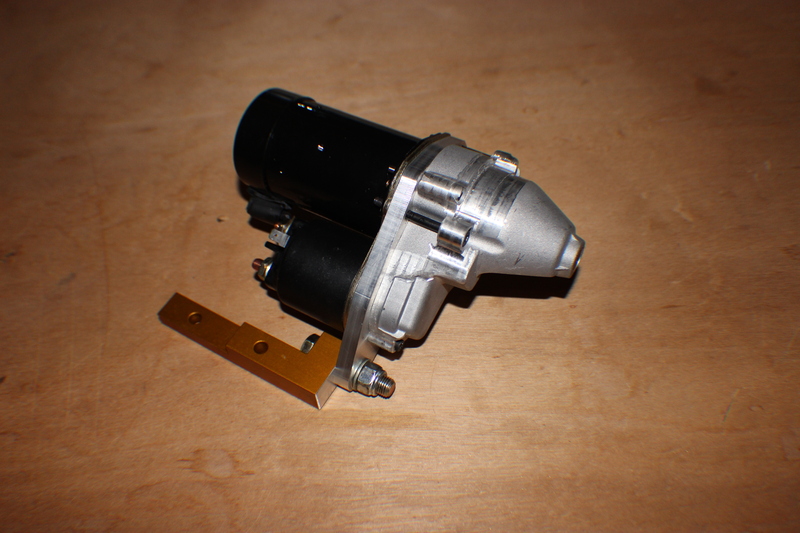 All other parts of our starter system, the top cover, the ring gear etc, remain the same. 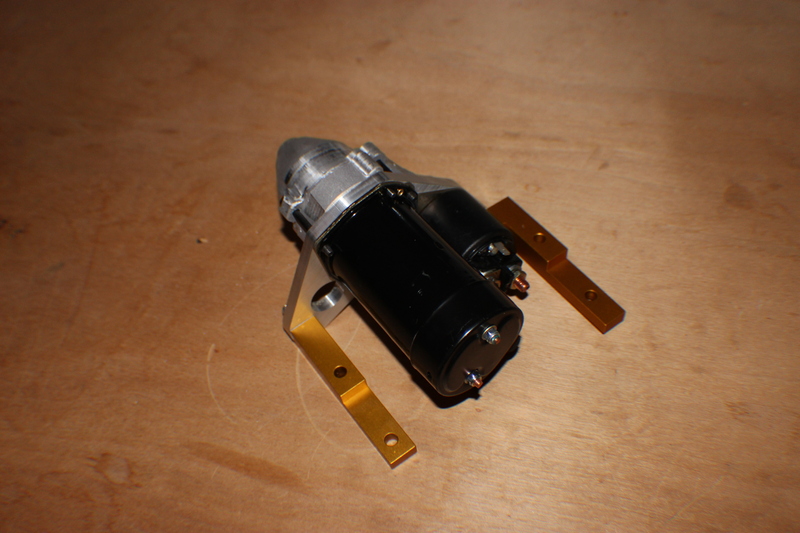 The cylindrical motor is about the size of a 12 ounce soda can. Above, the copilot side view. The starter actually cranks the engine faster on less amperage than out standard starter. The prototype of this starter was flight tested on the SPA Panther in the spring. We have since installed about 10 on running engines. We have given builders who had a standard starter on order the option of upgrading. Above, the rear view of the starter, the main plate of the design in a CNC machined 3/8″ thick 6061T-6 aluminum plate. because it is very stiff, the design does not require a tail bracket. The pilot’s side hole in the mounting plate is slotted, allowing quick adjustment. The pricing information on our webpage is correct, but we are still reworking the description and the photo. We will amend this shortly. Oh that’s going to look great on my new 3L !!! Did I read that a starter soleniod is not needed as there is one built in. What is the amperage of the circuit breaker needed..
About 20 amps, it had a high inrush current.